A Solomon Islands mining professional says more government support is needed to unlock the country’s significant mining potential. This comes as reconstruction of the closed Gold Ridge gold mine in Guadalcanal was to begin within the fortnight. A mining engineer and exploration geologist, Desmond Sese, said the island has other promising deposits. “The only hindrance we have now is the government not really supporting the mining industry. 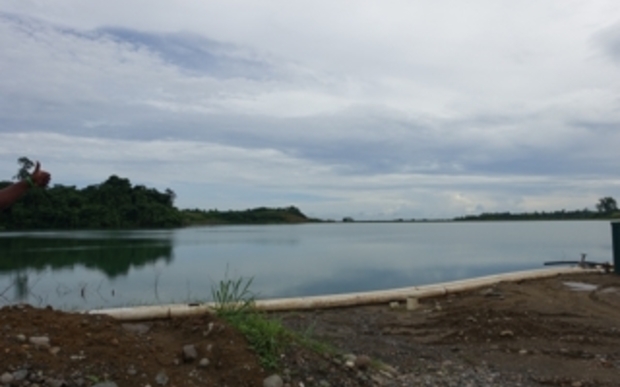 But in Guadalcanal, I’ll say there’s huge potential geologically,” Desmond Sese said. Mr Sese is involved with Guadalcanal Exploration, a subsidiary of SolGold, whose application for an exploration permit at Kuma on Guadalcanal was still pending. He said the Mines and Minerals board approved the permit in 2015, but that the minister was yet to sign off on it. Political interference, according to Mr Sese, was holding the local mining scene back. Rehabilitating the mine, which was abandoned by its last owner St Barbara in April 2014 after massive flooding, is a major task which includes the reconstruction of washed out roads and bridges to restore access to the mine. PEOPLE from Tari Pori in Hela gave up 150 guns and ammunition to security forces in Tari last Friday, making it the biggest gun surrender in Hela to date. Out of the 150 firearms, 130 were homemade ones and 20 factory made. In all, at least 600 guns were surrendered in the province. The factory-made guns included M16s, SLR (Self-Loading Rifle), pump actions and guns of all makes. 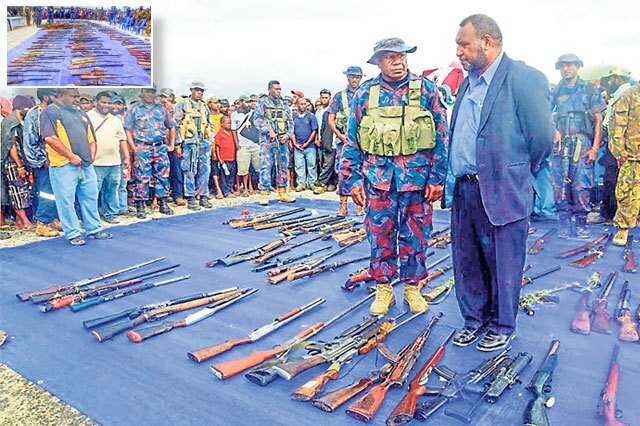 Finance Minister and Tari Pori MP James Marape praised those who surrendered their weapons in Hela. He said that those who still hid their firearms after the amnesty would be dealt with by the law. Operation contingent leaders Superintendent Samson Kua and Lt Col John Manuai thanked Marape for leading his Tari Pori people in hosting the biggest surrender in the province. “On record, I can say that Tari Pori has come in a big way to surrender firearms,” Kua said. The Tari Pori district will soon launch its community educational facility at Pai and begin enrollment for youths who returned weapons. Marape pointed youths towards education and not guns. “Our Tari Pori district has the 800-student Pai College ready,” he said. More than 3000 members of Marape’s Piribu, Paibali , Tipa, Waralo, Linabini , Hambuali and Pai clansmen, women and church members were part of the surrender programme. 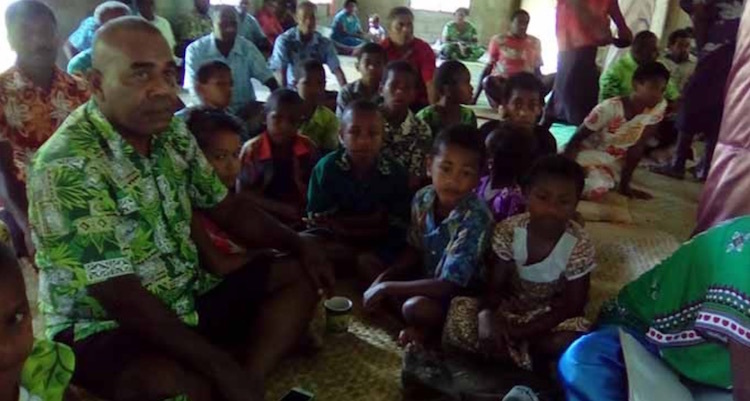 Local leader and former mayor of Tari town Kopi Yabe appealed to leaders, businessmen and women and public servants of Hela to follow Marape and his tribes. During the occasion also saw Hela provincial treasurer Marago Dagoba and Hela election manager John Tipa surrendering their tribe’s guns. Local businessman Andaija Jeli also surrendered his. Manuai said destruction of the firearms was delayed by a few days until Friday as all Hela MPs would be attending to Government business in Port Moresby. Initially, the date set for destruction of firearms was tomorrow, coinciding with the second phase of the operation. A RIFT has developed between Highlands Pacific Limited (HPL) and its shareholder, Chinese group Guangdong Rising Assets Management Co Ltd (GRAM), over the future control of the Papua New Guinea company. 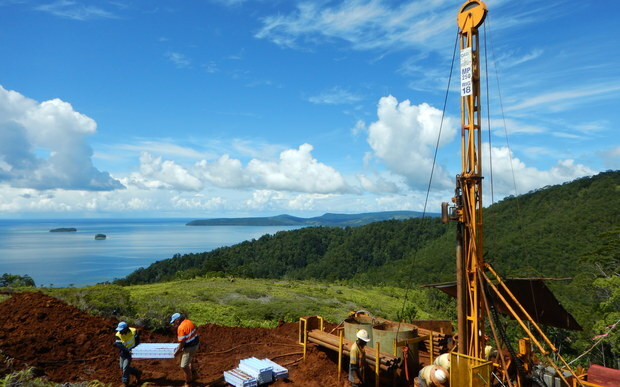 HPL says it is a battle with potentially major ramifications for its multi-billion kina PNG projects, including Frieda River, Ramu Nickel and Star Mountains. Last week, GRAM subsidiary PanAust, which owns a 14 percent stake in HPL, had demanded a meeting of HPL’s shareholders to remove four of the company’s five non-executive independent directors and replace them with three GRAM nominees. 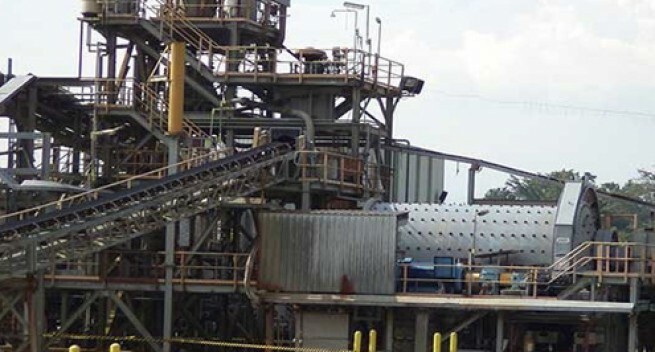 HPL argued the highly aggressive move would deliver GRAM control of the firm which was valued at about A$60 million (K146 million), without GRAM having paid anything to the other shareholders of the company that collectively hold 86 percent. The move also would deliver GRAM essentially full, unassailable control of the giant US$6 billion (K19bn) Frieda River project in West Sepik Province. HPL and GRAM are joint venture partners in the project, with GRAM holding an 80 percent interest and HPL 20 percent. HPL also holds an 8.56 percent interest in the Ramu Nickel project, as well as a major shareholding in the ‘exciting’ Star Mountains exploration project. HPL directors had opposed GRAM demands, stating that handing control of the Company to GRAM/PanAust would not be in the interests of its shareholders. Chairman Ken MacDonald said the GRAM/PanAust proposal effectively amounted to a takeover of Highlands without offering to pay shareholders. HPL managing director Craig Lennon said the future of Highlands was vitally important for the development of its projects, and could have serious economic implications for PNG. “We want to see these projects, especially the Frieda River project, develop in a timely fashion, creating potentially enormous economic benefits for PNG by creating jobs, generating revenues for government and earning foreign exchange income,” he said. The special meeting to consider the matter would be held in Port Moresby, and shareholders would vote on the proposals to remove four of the five non-executive independent directors including the chairman. The two directors who GRAM is not trying to remove for now are the managing director Craig Lennon and Bart Philemon, the highly respected former treasury minister. Raymond Masono has been appointed new Vice-President of Bougainville and has immediately faced criticism from the Bougainville Freedom Movement. Bougainville News reported Masono was from the Carteret Islands and is a first term MP in the Autonomous Bougainville Government (ABG) and the Member for the Atolls Constituency and Minister for Public Service. Prior to his entry into politics, Masono had a ‘distinguished career’ in the Bougainville Public Service and held several senior positions, including Acting Chief Administrator, Deputy Chief Administrator Policy and Director for Panguna Negotiations. “I want to express my sincere gratitude on behalf of the Atolls people for the President’s confidence in appointing me as his new Vice-President,” Masono said at the swearing in. “I accept this appointment with great humility, for me personally it is a great honour to serve as the Vice-President of one of the founding fathers of this nation and I want to assure the President and the people of Bougainville of my undivided loyalty and continued support to the President and ABG,” Masono said. “The young and easily influenced [former] Vice-President Patrick Nisira made it clear in March 2016 that the Autonomous Bougainville Government (ABG) knew that the decision on the future of the mining moratorium on Bougainville was a major concern and ‘that there should be wide public debate on the issues involved’. “This was reiterated again, as stated by Patrick Nisira in his public leture on 28 April 2016 in Canberra. “Now, his replacement, Raymond Masono, Director of the Office of Panguna Negotiations, Autonomous Bougainville Government (ABG), who originates from the Atolls, gave a lecture at the University of Queensland’s “Institute for Sustainable Mining” on 16 December 2014. “Under the influence of the University of Queensland’s “Institute for Sustainable Mining”, Mr Raymond Masono made it quite clear that, “Alternative Benefit Sharing Modality for a Redeveloped Panguna Mine in Bougainville, PNG”. “Benefits from a redeveloped Panguna mine must contribute to the overall social and economic development of the all Bougainvillians, not just the mine affected landowners. “This requires the design and implementation of a benefit sharing modality that ensures everyone shares in the nation’s wealth. The Office of Panguna Mine Negotiations has been established to coordinate the Autonomous Bougainville Government (ABG) and Panguna mine affected Landowners preparations to negotiate the possible reopening of Panguna Mine in the Autonomous Region of Bougainville. 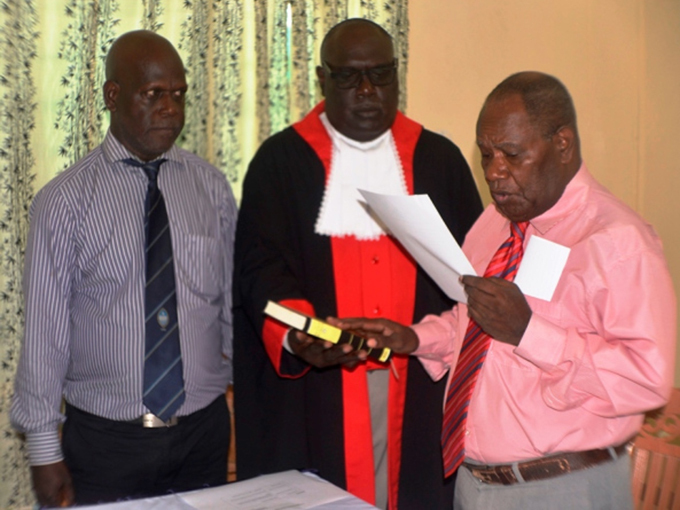 Patrick Nisira will remain as the Member of the Halia constituency until he formally resigns from the Bougainville House of Representatives to contest this year’s general election. The Tikina Namosi Landowners Committee (TNLC) will seek a meeting with Prime Minister Voreqe Bainimarama to discuss its concerns about the mineral explorations in Namosi. At a TNLC meeting at Namosi village yesterday, members unanimously opposed exploration currently carried out by the Namosi Joint Venture (NJV) on environmental grounds. TNLC chairperson Josefa Tauleka said that they were against exploration since it started in Namosi because they felt it would destroy their natural resources. He said that no one seemed to listen to them and that was why they wanted to meet with Mr Bainimarama. “We have a caring Prime Minister and we know he will listen to us,” he said. Mr Tauleka said they fully supported the Prime Minister’s green economy policy because it was in line with what TNLC believed. NJV is currently exploring minerals in the province and has been granted a licence, SPL 1420 till 2020. Mr Tauleka claimed mining would be next. He alleged that according to the company’s Mining Plan there would be two mining pits but from information they had gathered there would be a third pit at Waivaka West. The company, he alleged, had opted for open pit and not underground mining. The NJV has strongly refuted claims by the TNLC of its plan to have a third pit. “NJV has no plans for a third pit as suggested by the TNLC, “ Greg Morris the Newcrest Mining Limited Country Manager Fiji said. He said they had not applied for a mining licence. The company, he said, had been given an exploration licence only and that was what they were doing. NJV made a presentation to the Parliamentary Select Committee on Mineral Resources chaired by Joeli Cawaki on the progress of their exploration. Meanwhile, Mr Morris said the company provided a briefing to the Parliamentary Natural Resources Standing Committee on the progress of the NJV Waisoi project Environmental and Social Impact Assessment (ESIA). The ESIA is yet to be completed but it will discuss the potential impact and the proposed management measures in accordance with the term of Reference issued by the Department of Environment. He said the NJV had been continuously meeting with the landowners over the past to update them on the project and listen to their issues and concern. Outgoing Secretary of the Department of Mineral Policy and Geohazards Management, Shadrach Himata, will be taking up a new role in the Autonomous Region of Bougainville. 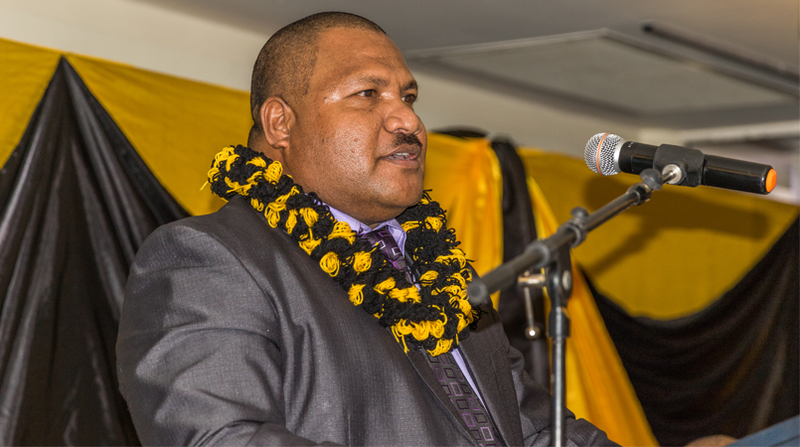 Himata told Loop PNG during the Departments Corporate and Strategic Plan Launching that he will be taking up the role of Mining Secretary in ARoB. He said he will be assisting the autonomous government in developing the mining sector in the island. Himata hands the reigns over the department to Harry Kore, who has assumed the role of Acting Secretary. During his farewell speech, Himata said the government could not have appointed a better candidate saying Kore would deliver many of the objectives that are outlined in the recently launched plans. Himata also congratulated and commended staff of the department for their loyalty and commitment in delivering many objectives which include the review of the Mining Act, the development of six new mining policies and the upgrading of all monitoring equipment and machinery throughout the country under the Geohazards Management Division.